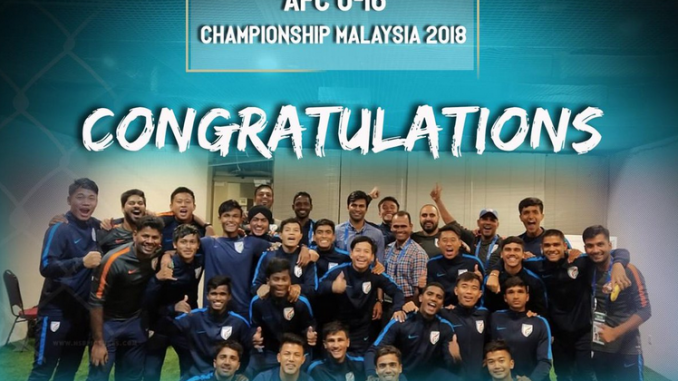 Indians Under-16 Football team entered the Quarterfinals of U-16 AFC Championship for the second time after 2002. They will play Quarterfinals against South Korea, who are the only team among four groups to have won all 3 matches. The semifinalists of the tournament will qualify for the 2019 FIFA U-17 World Cup in Peru. Even in 2002, in the QF Indians played against South Korea. They would look forward to avenge that defeat (1-3) of 2002 and enter first even semifinals at AFC U-16 Championships. Indians finished third at Group A with one win against Myanmar (4-1), draw against UAE (1-1) and loss against China (1-4).